Posted by Bill Mann on Thursday, April 11th, 2013 at 8:26am. The City of Rehoboth Beach began its history in the late 19th Century when in 1872, a religious group purchased 414 acres for the purpose of a Beach Camp meeting grounds. When the founders purchased the land, they also set up a boardwalk, hotel, tent houses and a post office. The official name became “Rehoboth Beach Association” in 1879. Soon after, the original activities of the religious group were discontinued, but the community that had formed around the camp thrived. Throughout the early 1900’s, the community grew. In 1903, the town elected its first mayor, and amenities including fire and police protection, telephone service, water and a gas system soon followed. 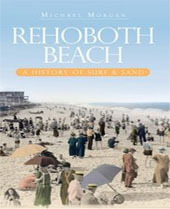 In 1937, the name was changed to the City of Rehoboth Beach. Today, the City of Rehoboth Beach is a community with a population of 1,327. In the summer months, its population expands to over 25,000 within the city limits due to its popularity as a vacation destination. The city is famous for its beaches, boardwalk, eclectic shops and sporting activities. In addition to the beaches and shopping, the Rehoboth Theatre of the Arts is located on Baltimore Avenue. It is home to the Clear Space Theatre Company, a professional theater group offering year-round productions. A little further west, on Rehoboth Avenue, you can find Dogfish Head Brewery’s original brew house. Mann & Sons, Inc. REALTORS® is your source for finding a quality Rehoboth Beach property. Please contact us for assistance in your search for a home in this area.